The three most commonly used delivery systems for patient treatment (over-the-patient, rear, and side delivery) are compared below, with photos and some of the advantages and disadvantages of each. 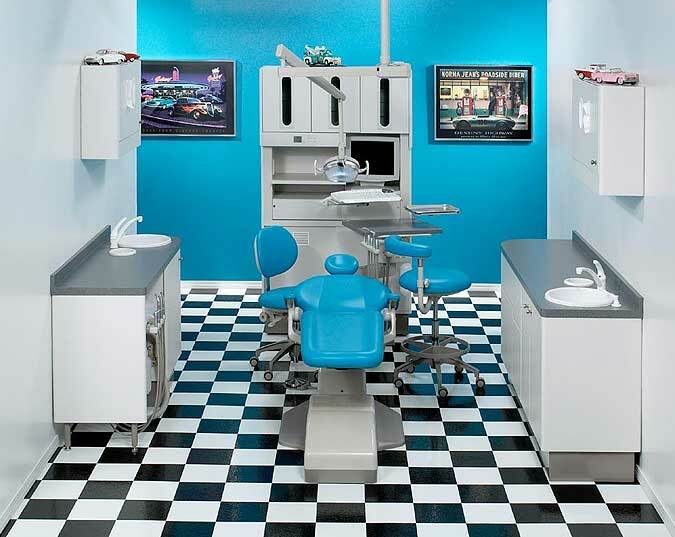 This system is most used in dental clinics today. The system design meets the requirements of time and motion concepts and promotes good ergonomic positioning. With the unit over the patient, the assistant can easily retrieve the handpieces and transfer them to the dentist, who does not need to look up from the treatment site. There are no hoses to interfere with the assistant’s position. 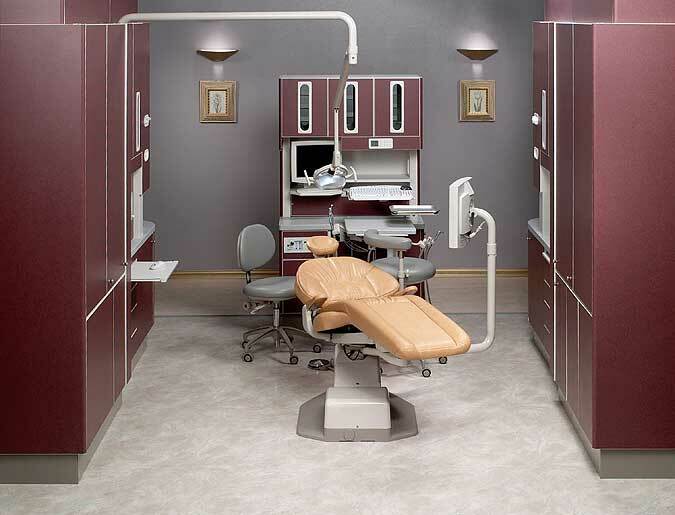 This type of unit has been designed for the practice of true four-handed dentistry. Also, if the dentist is working alone, the handpieces are easily accessible. 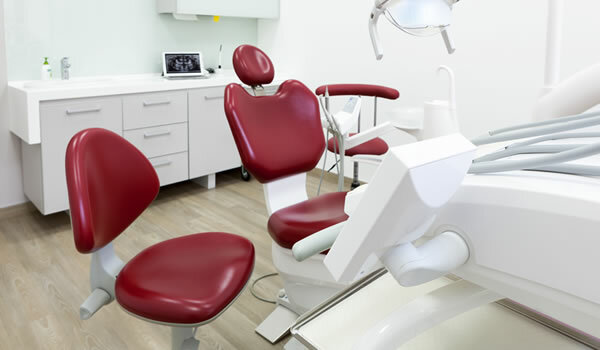 The dentist must pick up the handpiece, which requires extreme twisting and turning, since the dentist is forced to turn from the operating field to pick up the handpiece. Often it is necessary to transfer the handpiece from the retrieval hand to the operating hand. 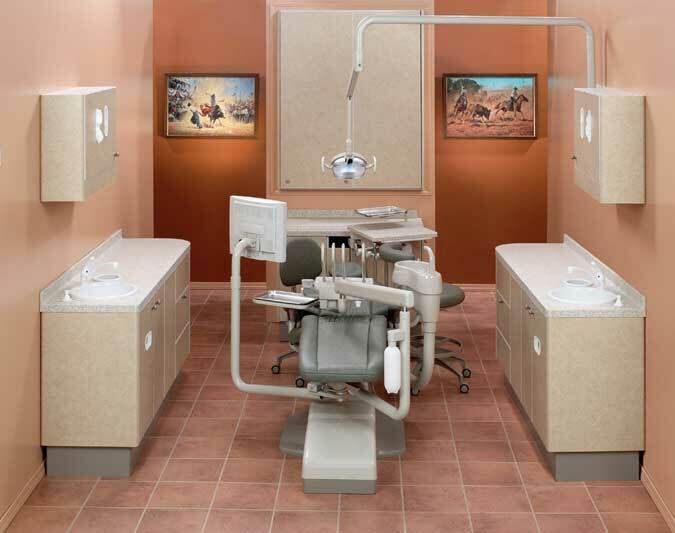 The units are mounted in a fixed position that cannot be moved to accommodate the positions of the dentist or for ease of use for the assistant. High-volume evacuation hosing and air/water syringes are permanently affixed to an assistant’s work area. This system has been popular for many decades. In fact, most schools use this system, often supplied with a bracket tray. 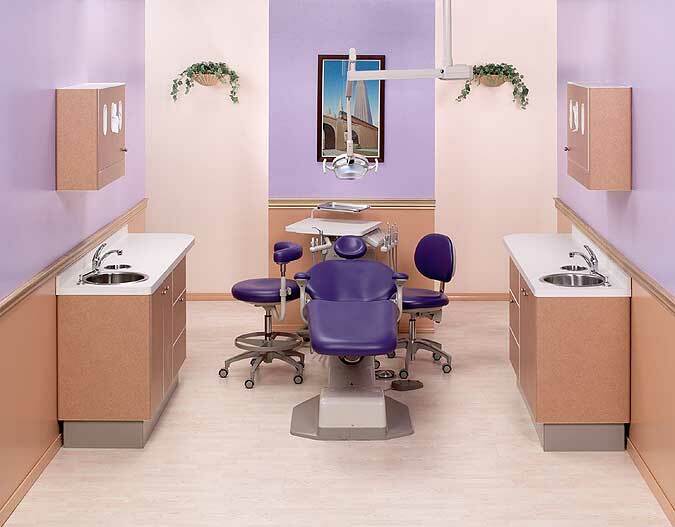 This system requires the dentist to pick up the handpiece, so the dentist must look up from the treatment site, twist to grasp the instrument, and then refocus. The assistant is not able to reach the instruments to exchange handpieces or change burs, reducing productivity that is gained from four-handed dentistry.